As the internet has continued to evolve with respect to search, many people feel cheated when compared to several years ago. It used to be easy for any website to quickly become featured by search engines in various results; this wasn’t always justified and the system could be abused, but the concept of search mobility was crucial in helping businesses flourish and websites make a name for themselves. Since the web is so congested with competition these days, it has become much more difficult to build traffic through search in an organic fashion. Link building remains a viable opportunity – though many lament about its increasing difficulty. 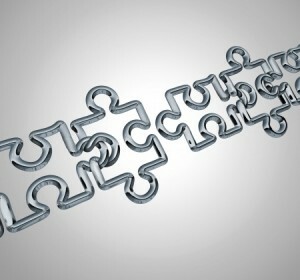 The reality is that link building remains possible and only requires creativity to be a successful endeavor. We’ll outline below why this is the case. Above all else, the number one reason why link building continues to be and will continue to be possible in the coming years is the infinite number of ways it can be done. If you are pinging to Google links that are blatantly unjustified or part of link building schemes, then it will quickly detect and penalize you for them. If, however, you are using a variety of organic or abstract methods to obtain links on other sites – as well as linking to a variety of other sites from your own – then there is very little these algorithms can do to penalize you. Human intuition will continue to remain one step ahead of the game due to our ability to be unique in how we earn, format and present links. As it stands, both parties still have something to gain in a mutual agreement for link building and exchange. If both sites are decently optimized, possess good content and are otherwise not blacklisted, then both can expect to see rankings improve over time. The site that is being linked to of course will enjoy additional traffic sources and improved rankings, while the site that hosts the link can also expect some ranking boost in most cases – along with new ways in which content can be produced that revolves around the link. While the former has more to gain than the latter, we never know how search engine algorithms will change over time. It’s quite possible that a future will benefit those who are linking more than those who receive the mentions. Whenever content is provided to readers – particularly in-depth content – there is always going to be a desire for facts to be cited and brands that are mentioned to be linked to for further inspection. It is simply a part of good content structure, which makes natural link building a concept that will remain with us indefinitely. This will encourage you as a site owner to dominate in a given niche by creating the best content possible while pinging to Google and others on a regular basis. This combination ensures that your site will be indexed by search engines and notable websites alike. While there is no guarantee that your site will be linked to as a result of merely having good content, it significantly increases your chances for obtaining organic backlinks.